Brad Pitt has had a rich history of drinking and smoking weed ... something he said he gave up once he became a parent, but clearly Angelina Jolie begs to differ. Check out Brad during a 2009 appearance on Bill Maher's show, rhapsodizing about rolling the perfect joint, but maintaining those days were behind him. Quentin Tarantino told Jimmy Kimmel the same year how he and Brad were at Brad's vineyard and drank a half dozen bottles of vino and smoked it up. 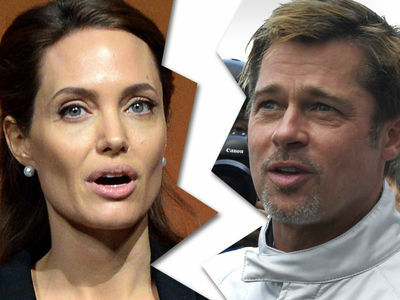 TMZ broke the story ... Angelina filed for divorce Monday, and we're told she says it's because he's smoking weed, drinking alcohol and that combined with an anger problem poses a risk to their kids.